Messy Church has come to Arana Hills! There is a buzz in the air on the third Saturday of the month at Arana Hills Uniting Church when Messy Church happens. If you find Sunday morning services too formal and not to your liking. If your children can’t sit still during church and find it boring. 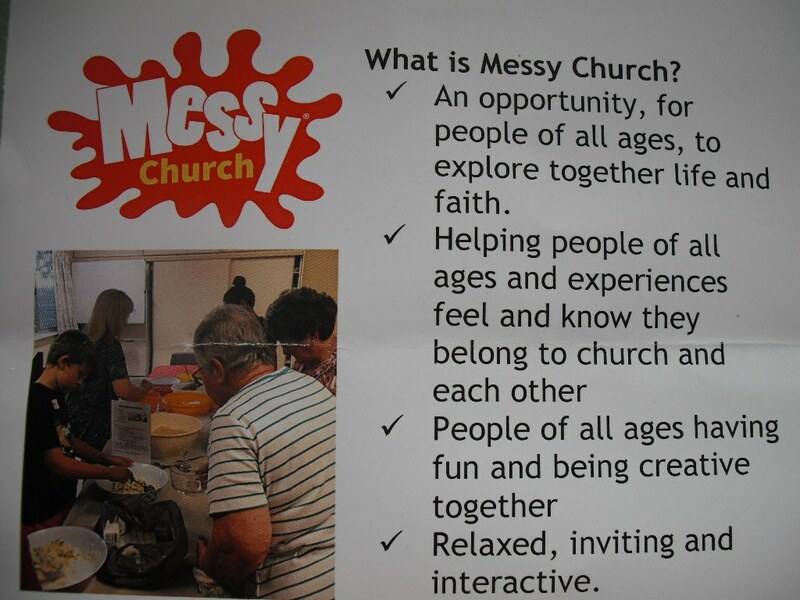 If you would like to attend church, but wish it was done differently, then Messy Church may be what you are looking for. Messy Church is for everyone – young and old, families, couples and singles, male and female. It is all about getting together, having fun, being creative, interacting with each other and worshiping in a totally different and new way. Plenty of noise can be heard as people laugh, chat, sing, listen to stories, take part in skits, watch video clips and participate in many activities including craft, cooking, painting, games, science experiments and reflective activities before sharing together in a meal. Those attending, from young children to wise pensioners in their 80s, have all found it to be a fun, exciting and meaningful time of worship. So come and join us every 3rd Saturday of the month, from 4.45 pm (for a 5 pm start) to 7 pm. Participation in Messy Church is free, although you may wish to make a small donation towards the cost of dinner. For further information call 3851 0441, email: aranahillsunitingchurch@gmail.com, look us up on Facebook.